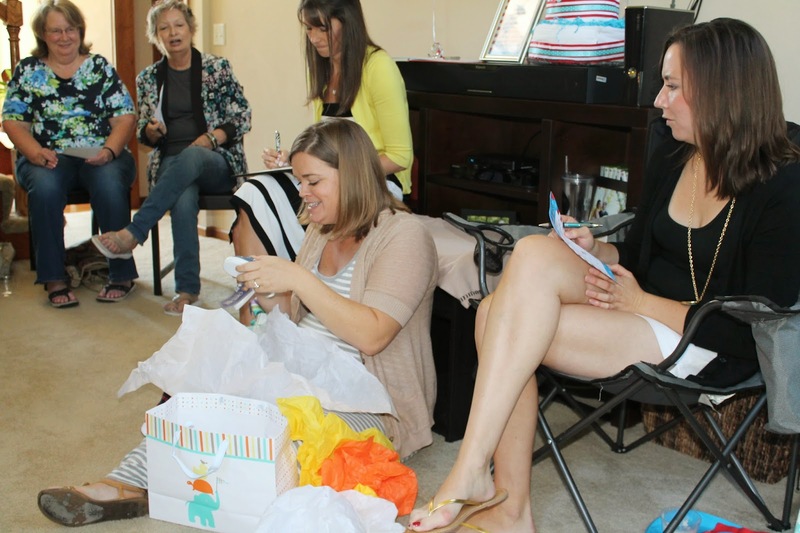 Almost one year to date (this post is a bit delayed) after throwing our good friend, Katie, a bridal shower, Lauren and I were back together planning something even more fun - a baby shower for the upcoming arrival of baby boy Colton! 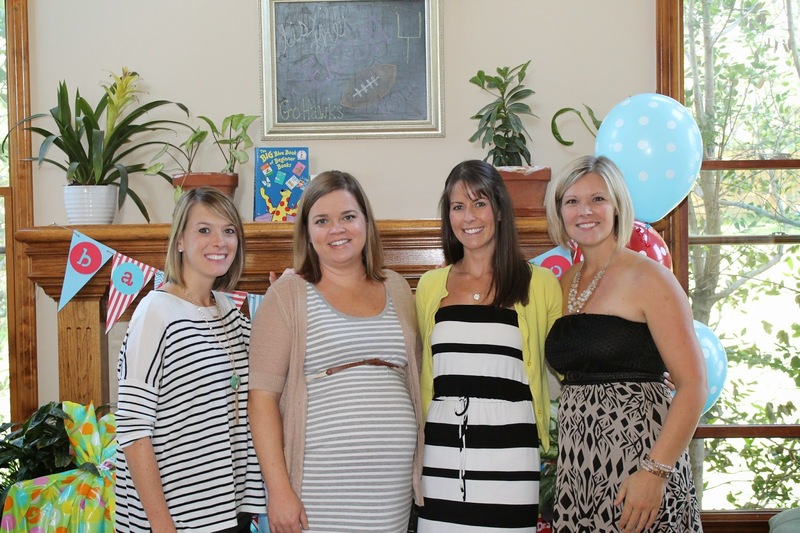 The minute a baby shower was mentioned, I knew of the perfect theme - Dr. Seuss! 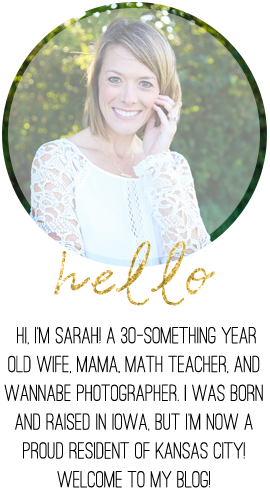 Katie is an elementary school teacher and has always loved Dr. Seuss. 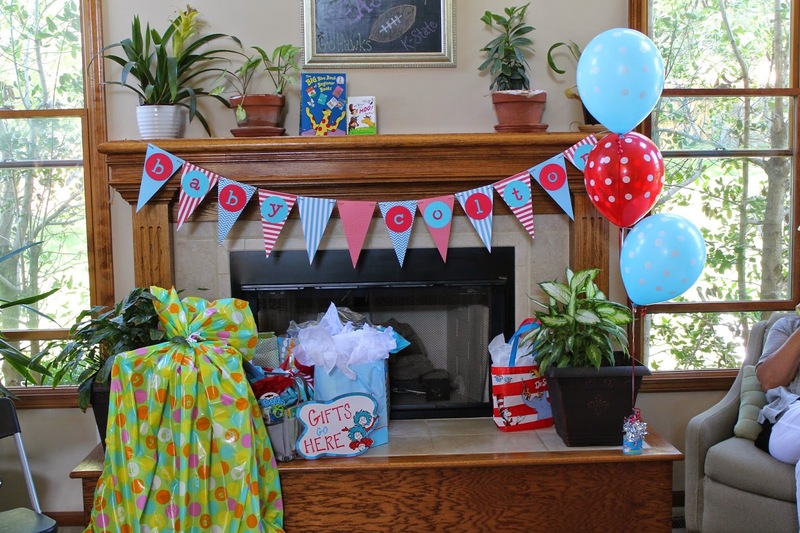 We asked each guest to bring a Dr. Seuss book in lieu of a card. 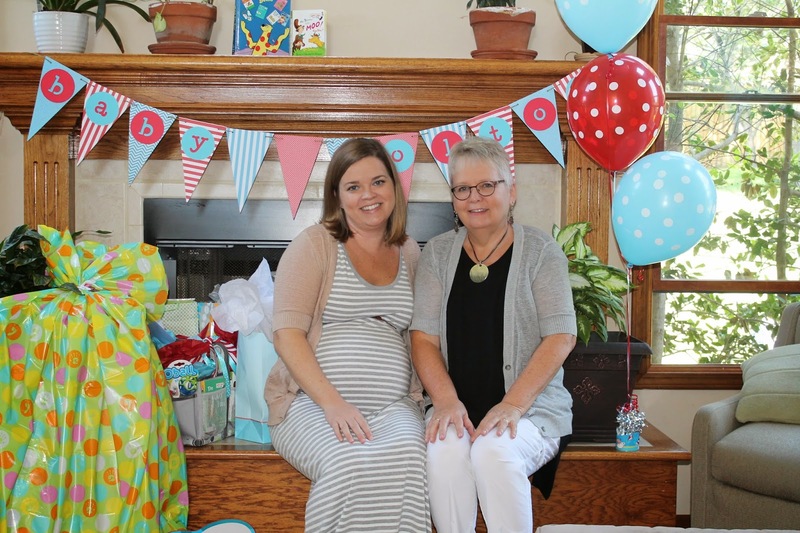 I really couldn't think of anything more perfect for her and her unborn baby boy. Of course, the details are always my favorite. And I think the details made this my favorite shower to plan to date! 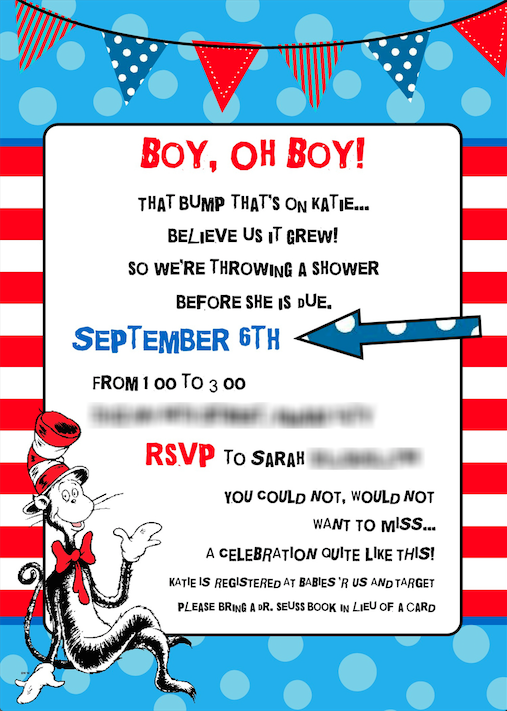 I created the invites with a little "inspiration" from Etsy. On the menu: Poodles Eating Noodles (pasta salad), Truffula Sticks & Dip (broccoli and celery), Hop on Popcorn (almond bark-covered popcorn), Green Eggs (pretzels with frosting and a green M&M) and Ham (pieces of deli ham on toothpicks), Fish in a Dish (goldfish), Bar-ba-loots Truffula Fruits (fruit tray), Cat in the Hat Parfaits (strawberry parfaits), Suess Juice (blue punch), and delicious and adorable Dr. Seuss themed cookies from Connie's Cookies. 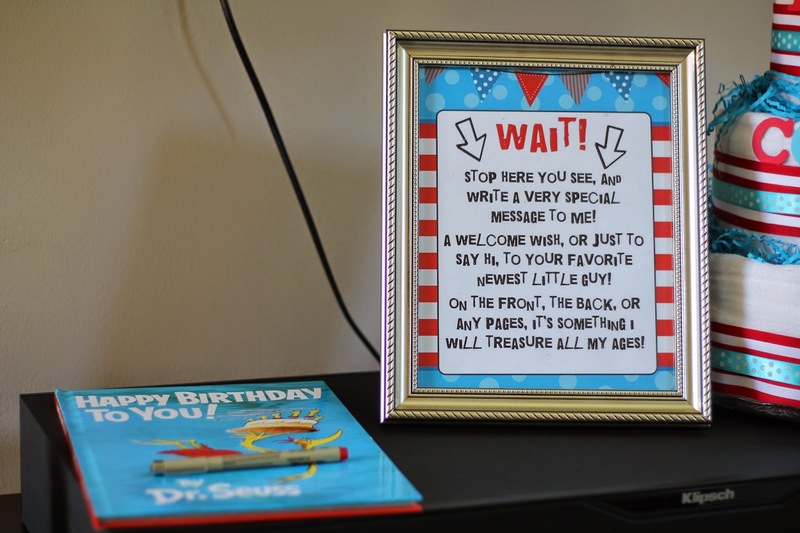 We had each guest sign Dr. Seuss' Happy Birthday to You book. Awesome idea courtesy of Pinterest. 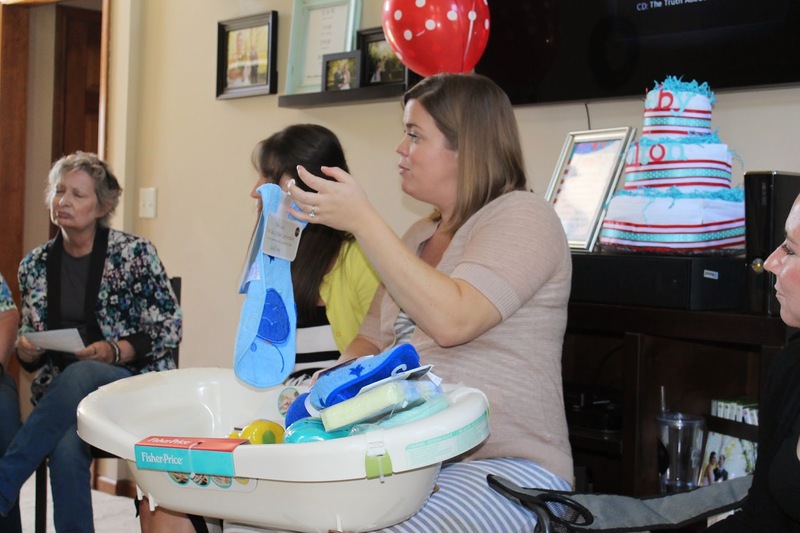 And no shower is complete without a diaper cake! 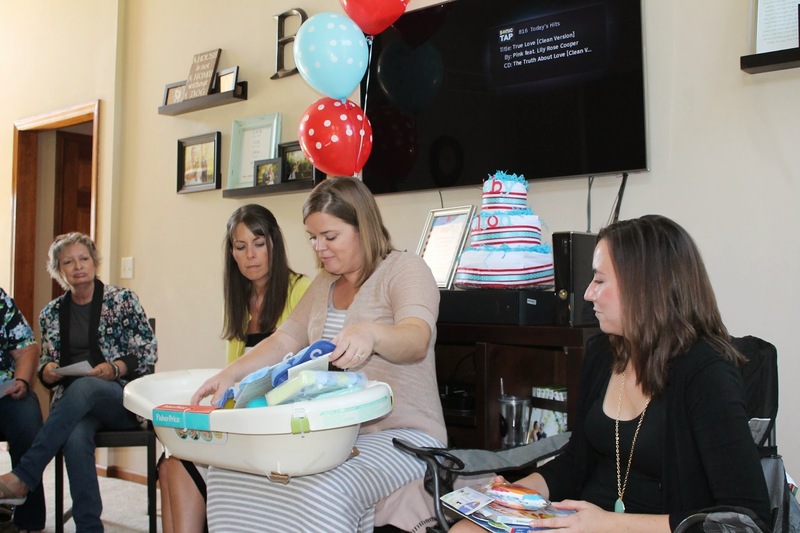 Baby Colton was definitely showered with love and it seemed like a good time was had by all! 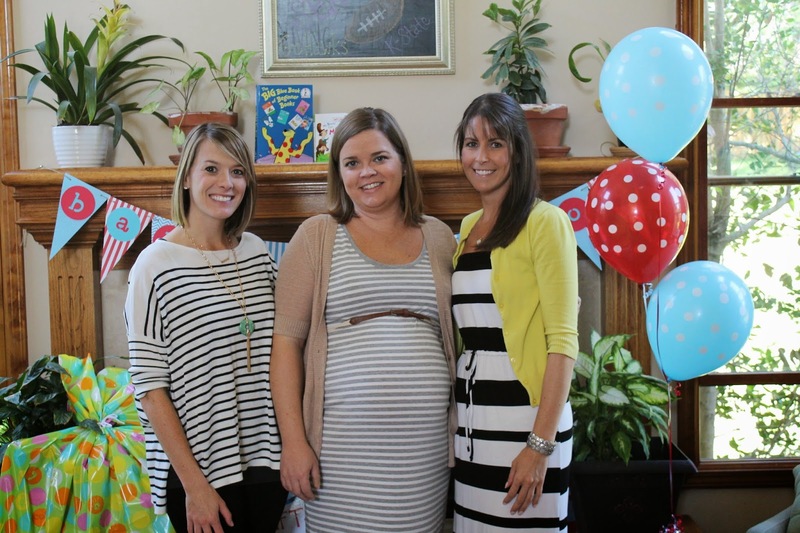 Thanks for letting us plan your shower, Katie, and congrats on your sweet new addition! 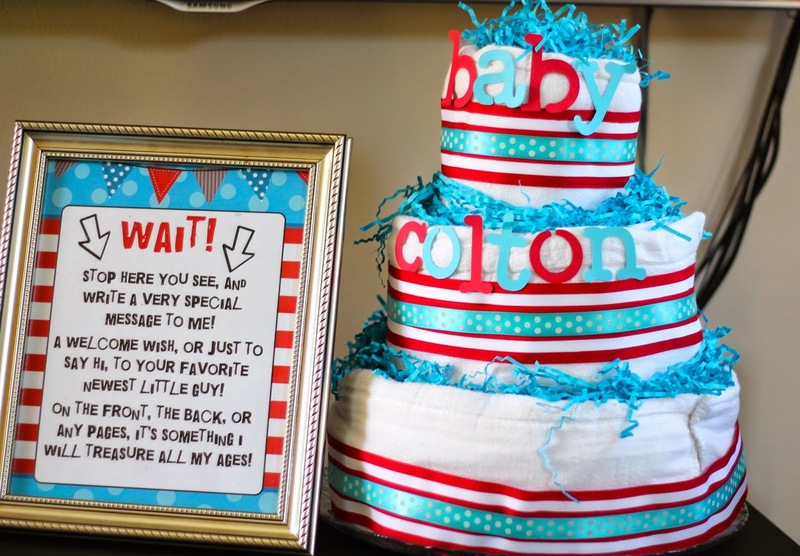 Love this Dr Seuss themed idea, brilliant and adorable! !